When you opening a silvery retail shop in mall, where will you search for a nice jewelry kiosk design ? Are you turning over the whole website to chasing a ideal jewelry shop ? 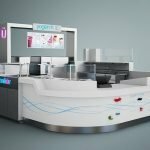 Stop doing that , Today i’m going to share a very nice and cool design Small white jewelry kiosk for silvery retail in mall. Want to check more design on this style , just contact us sale team. 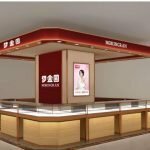 In recent years, Jewellery vendors have increasingly demanded higher and higher quality of jewellery display cabinets and jewelry kiosks. and they pay more attention to quality issues. 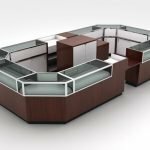 Whether the design style is, or practicability, as well as manual quality are the criteria for judging the quality of jewellery display cabinets. So how to make jewelry display cabinets better and high quality ? 1. Keep the size exact following on drawings. On the leased space, the size of jewelry display cabinet should be in line with the size of the store rented by the Landlord, not beyond the scope, reasonable layout, small and delicate. 2. Make it Easy installation: To save installation or construction time and save manpower and material costs. It is better to make jewelry kiosk and cabinet adopt standardization and serialization as the main method, While combine assemble and disassemble together. Where is easy for shipping while to difficult for installation. 3. The shape and color of the jewelry display cabinet can’t compete with each other. It’s better to achieve the goal of setting off the jewelry brand. 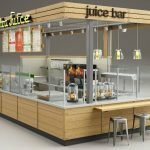 With a good design of the display cabinet, such as planning, space design and graphic advertisement design; We can make use of best performance and achieve better display effect for customers. 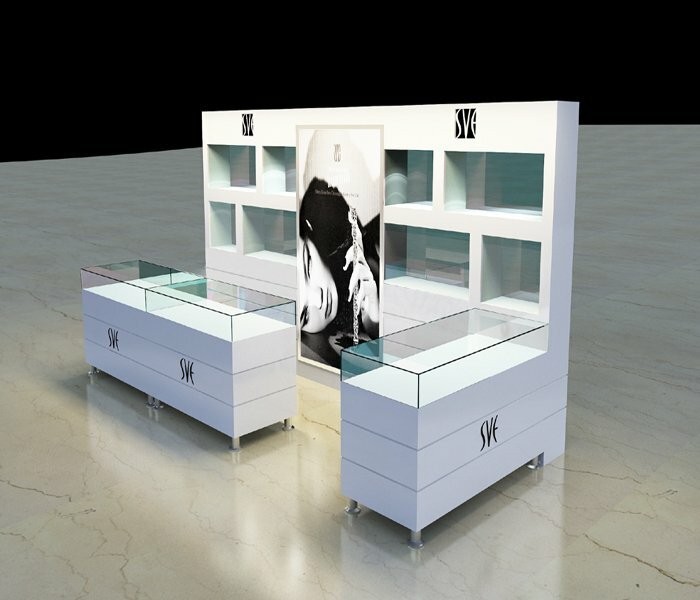 If you are looking for more design about jewelry cases or jewelry shop design. Welcome to contact us.